The history of Richard Camp, CPA, PA is built upon a tradition of service, technical expertise, and innovative thinking to meet the needs of the rapidly changing world. The experience and academic credentials of our partner and staff provide our clients with the expertise of larger firms while our commitement to superior customer service offers a personal, one-to-one, approach. Partner of the firm opened in 1991 in Jacksonville, FL. 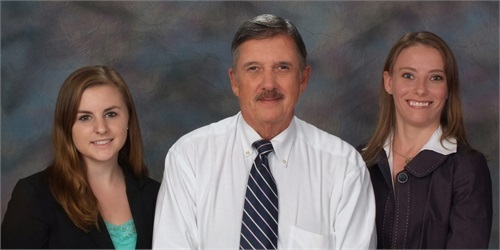 He has extensive tax experience in Federal and State tax issues. He is currently licensed as a CPA in Florida, Georgia, Tennessee, North Carolina, and South Carolina. His other credentials include Personal Financial Specialist, Accredited Estate Planner, Series 7 license, Series 66 license and a life, health, and variable annuity license. Accountant has earned a Degree in accounting from University of Puerto Rico..
She is working towards completion of her accounting degree.